Live Thrive Atlanta's Center for Hard to Recycle Materials targets funding from the Foodservice Packaging Institute's Foam Recycling Coalition to expand their recycling operation and improve the environment. The Foam Recycling Coalition awarded a $41,000 grant to Live Thrive Atlanta’s Center for Hard to Recycle Materials (CHaRM). The Foam Recycling Coalition awarded a $41,000 grant to Live Thrive Atlanta’s Center for Hard to Recycle Materials (CHaRM). This funding will help expand the facility’s foam polystyrene recycling operation and continue improving the environmental and public health of Metro Atlanta by diverting hazardous waste and recyclables from local landfills. With this grant, CHaRM will buy a foam polystyrene densifier for its recycling drop-off site allowing the organization to process foam polystyrene onsite. CHaRM’s site currently accepts a wide range of hard to recycle and commonly recycled items. It will now accept foam polystyrene cups, take-out containers, meat trays and egg cartons, as well as protective packaging. The densifier being purchased with the grant money will compact these foam materials into condensed bricks that the county can easily ship to recycling markets in truckload quantities. “Foam polystyrene is one of the most important hard to recycle materials received at the facility’s drop-off. Being able to increase processing of this material and be more efficient in selling to end markets will make it easier to provide our services to the residents and universities of Metro Atlanta,” said Peggy Whitlow Ratcliffe, executive director of Live Thrive Atlanta. The grant is made possible through contributions to the FRC, which focuses exclusively on increased recycling of post-consumer foam polystyrene. Its members include Americas Styrenics; Cascades Canada ULC; CKF Inc.; Chick-fil-A; Dart Container Corp.; Dyne-A-Pak; Genpak; Hawaii Foam Products; INEOS Styrolution America LLC; NOVA Chemicals Corp.; Pactiv Foodservice/Food Packaging; Republic Plastics; and TOTAL Petrochemicals & Refining USA. CHaRM is the 10th grant recipient to receive FRC funding since 2015. Over 3 million additional residents in the U.S. and Canada can recycle foam as a result of FRC grants. Visit http://www.RecycleFoam.org to learn about foam recycling, read about previous recipients, or apply for a grant. 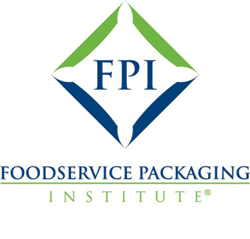 ABOUT FPI: Founded in 1933, the Foodservice Packaging Institute is the trade association for the foodservice packaging industry in North America. FPI promotes the value and benefits of foodservice packaging and serves as the industry’s leading authority to educate and influence stakeholders. Members include raw material and machinery suppliers, manufacturers, distributors and purchasers of foodservice packaging. For more information or to follow us on social media, visit http://www.FPI.org. ABOUT FRC: The Foam Recycling Coalition was formed under the Foodservice Packaging Institute in 2014 to support increased recycling of foodservice packaging made from foam polystyrene. FRC shares general information on foam recycling, provides technical resources and offers funding assistance to programs ready to start or strengthen post-consumer foam recycling. Members include stakeholders from throughout the foodservice packaging value chain. Learn more at http://www.recyclefoam.org.